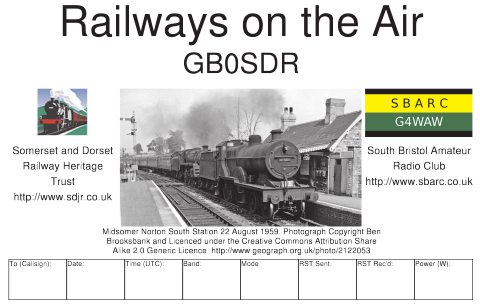 South Bristol ARC will be operating GB0SDR from the Somerset and Dorset Railway Heritage Trust at Midsomer Norton in Somerset over the weekend of 22/23 September. We will most likely be operating on 80m and 40m SSB with some digital traffic on 20m if everyone hasn’t moved over to FT8! Please listen out for us and give us a call if you hear us. Alternatively please pop along to the Somerset and Dorset Railway Heritage Trust museum over the weekend to meet us in person.